The SmartPower™ range of single use surgical power equipment is revolutionary, providing a real and cost-effective solution to spending vast amounts on re-usable power tools. Perfectly designed, the SmartPower™ Drill makes light work of precision drilling and the accurate placing of bone screws in a variety of reconstructive and trauma procedures. Featuring a 4 mm cannulated channel for pins and wires, the device is given additional stability by attaching a left or right torque control handle which is included with the drill. 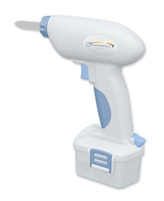 Supplied with a keyless chuck, the SmartPower™ Drill comes pre-sterilised and ready to use. Ideal for use in orthopaedic osteotomies and other bone cutting procedures, the lightweight and highly manoeuvrable SmartPower™ Oscillating Saw provides constant power for the entire procedure. The saw is available in two versions. One features a Linvatec type locking hub, the other a Stryker Series 4 type. 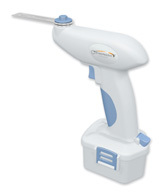 Supplied in a sterile package, the saw provides the user with the confidence of sterility and availability when needed. The SmartPower™ Reamer is a robust orthopaedic power tool designed for use procedures which require boring, drilling and reaming. Ideal for use in difficult procedures where continuous power is critical, the SmartPower™ Reamer has a high torque rating which compares favourably to many re-usable systems. It also includes a cannulation channel for use with pins and guide wires and a left and right hand torque control handle for additional stability. Supplied pre-sterilised and ready to use the Reamer comes complete with a universal locking hub which accepts the Zimmer/Hall chuck. Other adaptors are also available which are compatible with this unit. 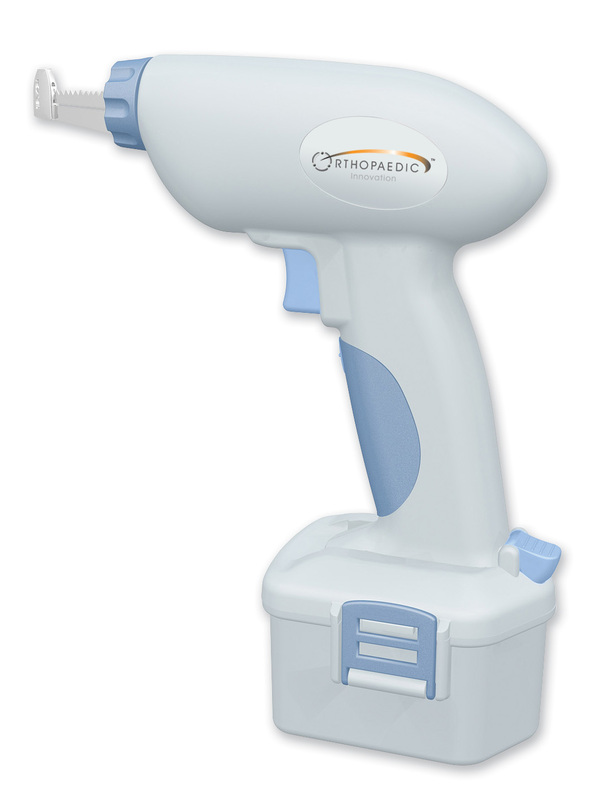 Designed for use in cardio-thoracic surgery, the SmartPower™ Sternum Saw weighs only 600 grams providing the user with greater flexibility and mobility. It is supplied sterile packed and comes complete with a saw blade which is pre-assembled with a blade guard to help protect organs when cutting bone in the thoracic cavity. The blade can be rotated 180° to allow for the surgeon's preference. Designed for use when performing transverse osteotomies such as cutting off the head/neck of the femur during total hip procedures, general orthopaedic osteotomies and other bone cutting procedures, the SmartPower™ Reciprocating Saw comes pre-sterilised and accepts standard reciprocating saw blades. 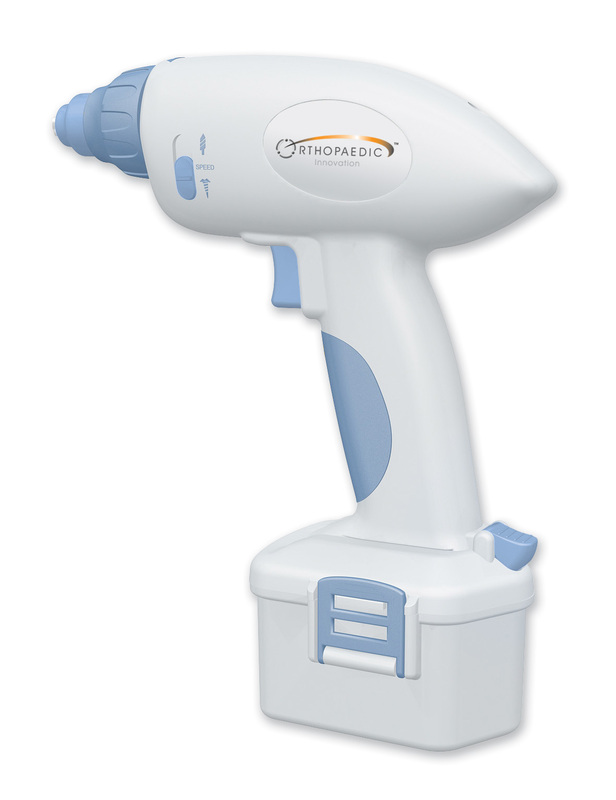 The SmartPower™ Console is a portable electrical power source for the operation of the SmartPower™ range of hand held surgical power tools. It is a corded unit which runs off mains electricity and has three connectors located on the front panel to which three SmartPower™ hand held devices can be attached at any one time. However only one hand held device can be operational at any one time. This 4 m long cable works with all the tools in the range to connect them to the neatly to the SmartPower™ Power Console. 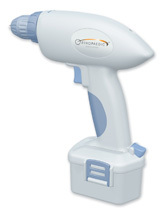 The SmartPower™ Battery Pack is a rechargeable unit designed for use with the SmartPower™ range of surgical power tools. The pack utilises high power density Ni-MH cells designed to produce output comparable with re-usable tools and features a handy charge indicator. The pack is recharged using either the Single or Triple SmartPower™ Battery Charging Unit. The SmartPower™ Single Station Battery Charging Unit provides full charge (6 - 8 hours) with an automatic cut off function for recharging of the SmartPower™ Battery Pack. The SmartPower™ Triple Station Battery Charging Unit features three charging stations with full charge (6 - 8 hours) with an automatic cut off function to provide effortless recharging of the SmartPower™ Battery Pack. The SmartPower™ Battery Kit holds the battery and attaches neatly to the base of each of the tools to convert them from mains power to battery operation.